Rohingya refugee camps across Delhi face a severe dearth of basic amenities in the camps, the widespread prevalence of illness and overall squalor. New Delhi: This Sunday, about 50 shanties, which are part of a Rohingya housing camp in Sarita Vihar, were razed to the ground in a fire. The refugees lost all of their meagre belongings in the incident. The fire even burnt down their only identification documents – their UN Refugee Agency (UNHCR) refugee cards. The challenges faced by the Rohingya refugees, according to human rights activists, are immense. Since India is not a signatory to the UN’s 1951 Refugee Convention, it views refugees as an external problem of Myanmar and Bangladesh. There are about 40,000 Rohingya Muslim refugees living in makeshift camps in states like New Delhi, Jammu, Jaipur and Hyderabad. A recent report in the Indian Express has drawn attention to the plight of the refugees in the capital. After surveying several such camps spread across Delhi, the report found that there is a severe dearth of basic amenities in the camps, a widespread prevalence of illness, and overall squalor marking each of these camps. The camps have no access to basic services such as sanitation, healthcare, education or drinking water. Given that most refugees are employed as daily-wagers, they lack the resources to approach doctors or hospitals. There is an abundance of health-issues afflicting refugees of all ages. The use of a common pump to collect drinking water, wash dishes and bathe leads to rampant incidents of diarrhoea. The kitchens do not have proper ventilation, resulting in breathing problems. Proximity to the Yamuna means the presence of snakes making their way through the camps. 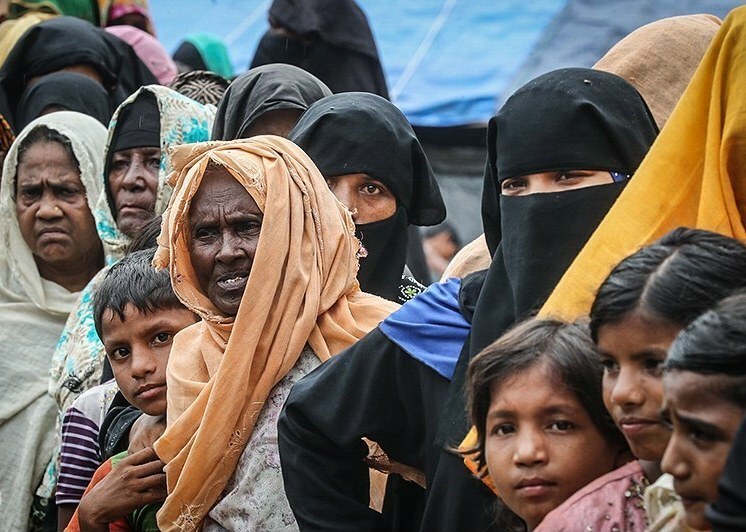 But absence of basic services is not the only challenge that Rohingya refugees face. The camp dwellers also have to contend with social hostility. Condemnation from other communities who view them as outsiders further restricts their access to public resources such as drinking water. Even celebratory occasions like Eid are now outside the ambit of the camp inhabitants. They cannot celebrate Eid in exile, which used to be a special day for them in Myanmar. Apart from monetary constraints, the refugees feel guilty for celebrating when their kin are living in danger in Myanmar. Despite petitions by human rights groups and activists, the central government is not ready to take steps that could bring some relief to the refugees.